The Target Sound Identification app directly enhances and elevates phonological awareness skills in order for a young child to become a proficient reader and speller. 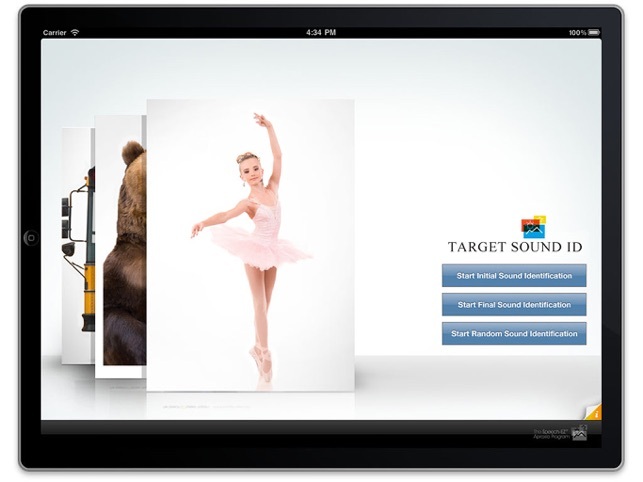 The Target Sound Identification app includes over 350 colorful and engaging picture cards. The child is presented with a picture card and a field of three sound (phonogram) cards. The child must identify (by tapping on) a sound in the specific requested position of the word. For example, “Point to the first sound you hear in the word: ship”. In this example the correct response is: sh. "Point to the last sound you hear in the word: dog”. In this example the correct response is: g.
Matching graphemes to phonemes with hundreds of real pics. 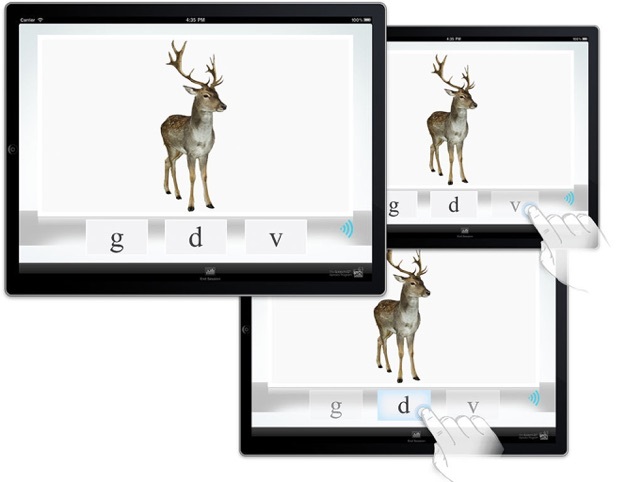 Random presentations, crisp real pics and one of several purpose built apps for SLP type therapy.